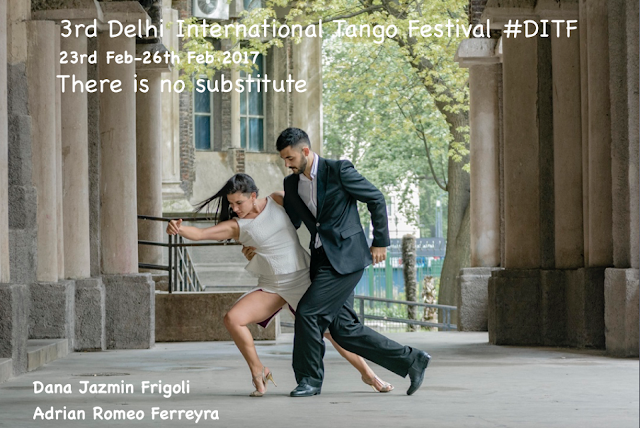 3rd Delhi International Tango festival is happening from 23rd- 26th February 2017. Here is the website with details. Here is the fb event page. 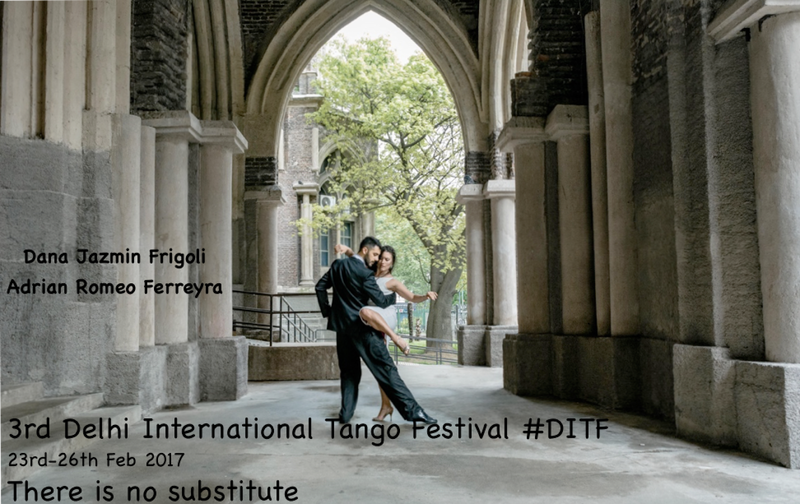 Dana Frigoli has already inspired a whole generation of Tango Lovers as dancer, teacher and choreographer. 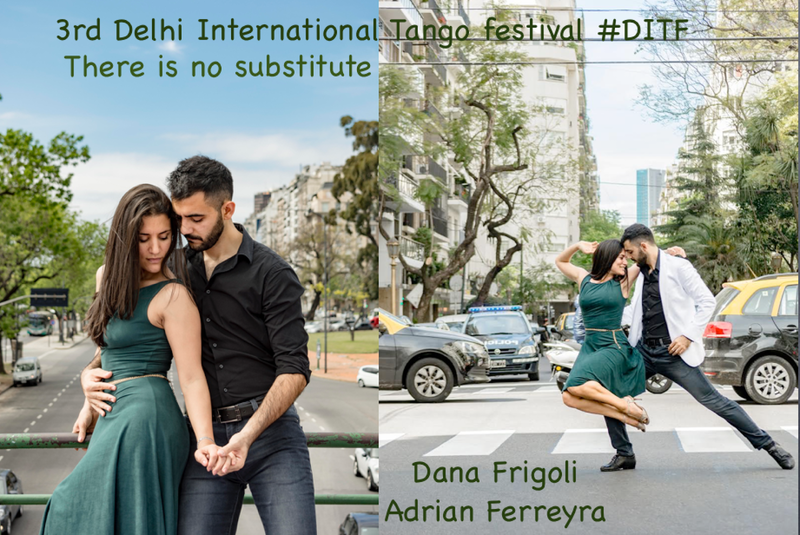 The charismatic co-founder of DNI in Buenos Aires will join us in 3rd Delhi International Tango Festival with her excellent partner Adrian Ferreyra. Students love the warmth and enthusiasm in class and get inspired by their creative performances. Invited by NDTS “ they will perform, teach classes and seminars in DNI's unique body-technique (TTC) for 4 days in the beautiful studio of Eros hotel. 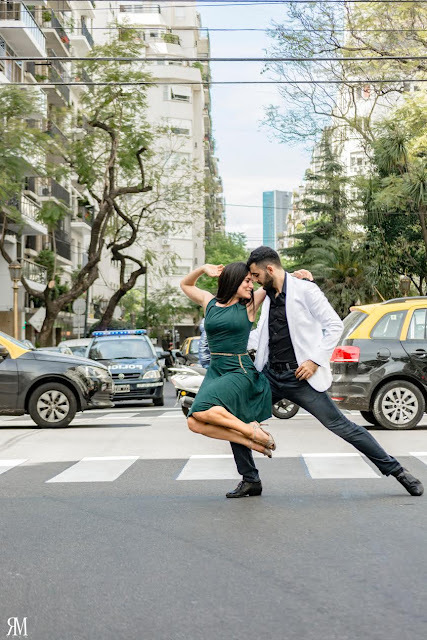 We are more than happy that they will be our guests! 8 workshops of 90 minutes each. These will be held in the studio of Eros Hotel. Grand Finale.- 26th February- Sunday- 8.30 pm in The Lounge & Bar, Eros Hotel. Only for watching the show at 11 pm. Entry after 10.45 pm. $68/Euro 62/Rs.4500/- stay for rest of night. Only for watching the show at 11 pm. Entry after 10.45 pm. $75/Euro 69/Rs.5000/- stay for rest of night. Only for watching the show at 11 pm. Entry after 10.45 pm. $83/Euro76/Rs.5500/- stay for rest of night. Only for watching the show at 11 pm. Entry after 10.45 pm. $90/Euro 83/Rs.6000/- stay for rest of night. Nehru Place, American Plaza, New Delhi. Do share with friends and also confirm your presence here.